Blend Super Plus lightly into the soil before seeding. On lawns, broadcast with drop spreader. 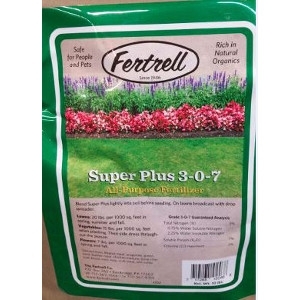 Fertrell's Super Plus All-Purpose Fertilizer is rich in natural organics and is safe for people and pets. Available in 10 Lb., 25 Lb., or 50 lb.